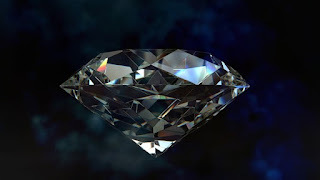 Refreshing Daily in God's Word: Daily Devotion: Where Is Your Treasure? Key Verse: Verse 21 – “For where your treasure is, there will your heart be also." The same can be said for where the heart of the child of God is. “Follow the money”… when you find where the money is spent, you will find their heart. In this day when some are complaining about a shortage of their money, I have found it doesn’t stop them from vacations, and sometimes expensive hobbies they may have. I’ve often said during the summer months that it is God’s money paying for Christians’ vacations. Some thieves one day broke into a store but didn't steal anything. They just exchanged the tags. They took a $6,000 tag off a diamond ring and put it on an imitation diamond. They took the imitation diamond tag of $99.95 and put it on the $6,000 ring. They took an imitation print painting and reversed its tag with that of an expensive original. People came in and bought stuff up. They spent a lot of money on the worthless and a little bit of money on the expensive. We live in a culture today that has switched the tags. We put a lot of money on the flashy and put 39 cents on character. We put a lot of money on expensive cars and high positions of career, but we put 10 cents on integrity, truthfulness, dignity, and character. We have switched the tags. Don’t let anybody switch your tags. ✞ Remember, you know your heart by where your money goes.